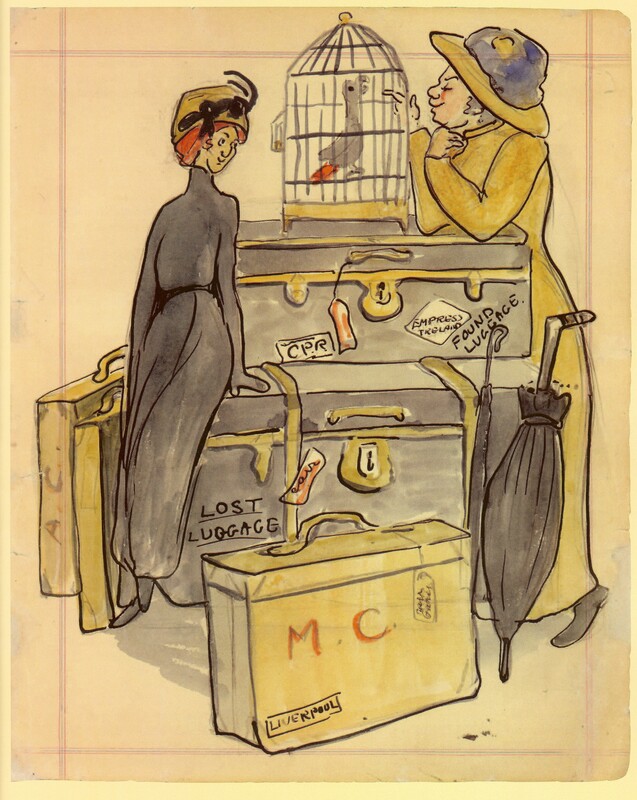 She arrived in Paris with her trunks, her sister Alice, and a malevolent grey parrot called Rebecca. She had purchased Rebecca in Liverpool, where the ship from Canada had docked, and brought the disagreeable bird the rest of the way by train. One can only imagine. Here is her picture of the travelling party. My sister [Alice] knew French but would not talk. I did not know French and would not learn. I had neither ear nor patience. I wanted every moment of Paris for Art. … I wanted now to find out what this “New Art” was about. I heard it ridiculed, praised, liked, hated. Something in it stirred me… I saw at once that it made recent conservative painting look flavourless, little, unconvincing. She had mastered the techniques of “conservative painting” in her previous schools, but they were a poor match for her subject matter – the dense, dark, dripping forests of the Pacific Northwest, its mountains and seascapes, and the settlements (some populated, some abandoned) of the native peoples with their haunting totem poles. Emily and Alice found lodgings on rue Campagne Premiere in Montparnasse and Emily attended classes at the Académie Colarossi, rue de la Grande Chaumière. This picture of the Académie dates from about 1908. Emily chose the school on the recommendation of another artist, because Colarossi’s allowed both men and women to work in the studio together, rather than segregating them. This was all very well, but Emily was the only woman attending at that particular point, and with her poor French, she felt isolated. Worse, the school didn’t really give her what she was looking for – the “New Art” with its vivid colours, looser brushwork, and abstracted forms, done in the open air. After several weeks, she became ill and went to Sweden to recuperate (it felt reassuringly like Canada). When she returned to France in spring 1911, she avoided the city and took a class in landscape painting in Crécy-en-Brie, about 50 km away (Alice stayed in Paris). At this point, Emily really started to enjoy herself. She struck up wordless friendships with local women and children, and fell in with the rhythms of country and village life. 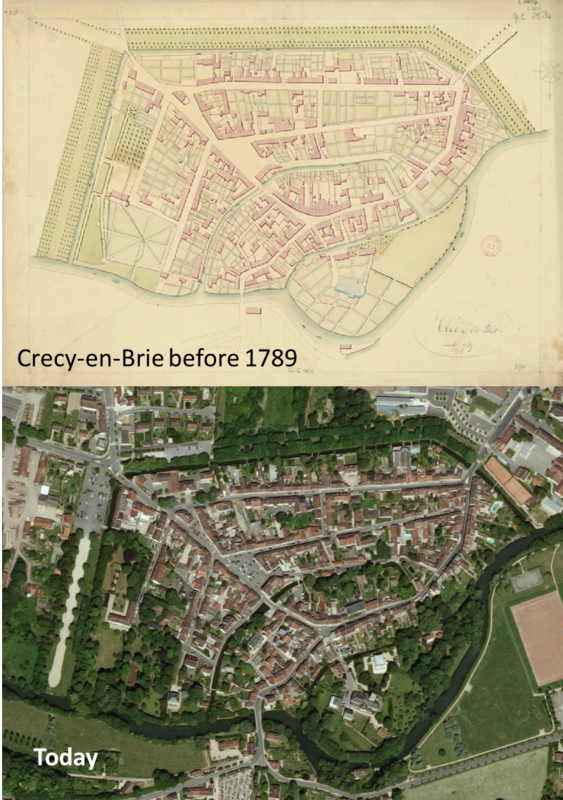 Crécy-en-Brie (now called Crécy-la-Chapelle) was a little town defined by a set of canals that in those days was two hours from Paris. Today it is on a suburban commuter rail line just east of EuroDisney, but the centre of the town looks, at least on the map, much as it did in Emily’s day. By this time, Emily had a new travelling companion. 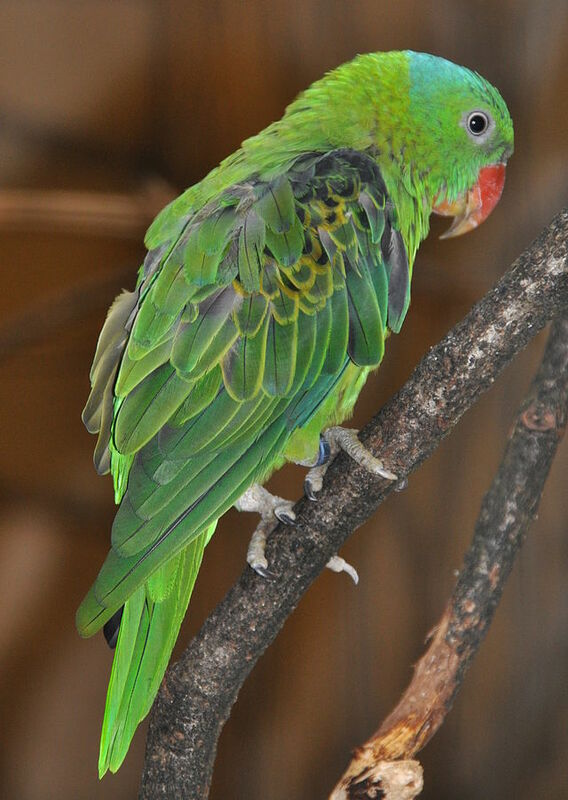 The bad-tempered Rebecca had been replaced with a good-natured green parrot called Josephine, who spoke more French than her owner and helped Emily make friends with local residents. I tramped the country-side, sketch sack on shoulder. The fields were lovely, lying like a spread of gay patchwork against red-gold wheat, cool, pale oats, red-purple of new-turned soil, green, green grass and orderly, well-trimmed trees… At night I met weary men and women coming home, bent with toil, but…pausing to nod at me and have a word with Josephine… She wore an anklet and chain and rode on the rung of my campstool. 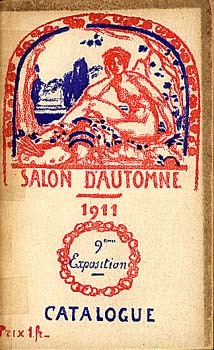 Emily returned to Canada in fall 1911, but not before exhibiting a couple of paintings in the Salon d’Automne. This was a large event that embraced all forms of art; Emily’s was in a room with other “innovators,” including Cubists and Fauvists. Her work did not attract much attention, but it was heartening to participate. I came home from France stronger in body, in thinking, and in work than I had returned from England. My seeing had broadened… [My new work] had brighter, clearer colour, simpler form, more intensity… I was glad I had been to France. More than ever I was convinced that the old way of seeing was inadequate to express this big country of ours, her depth, her height, her unbounded wideness, silences too strong to be broken. Alas, British Columbia was not ready for this new way of seeing. Emily exhibited in Victoria and Vancouver, both works she had executed in France as well as scenes of the Pacific Northwest in her new style. Although she did receive some good reviews, most people reacted to her work with dismay or ridicule. The clearer, more intense colours and the Impressionistic style did not appeal to a more-English-than-the-English community that saw the world through mild watercolour spectacles. 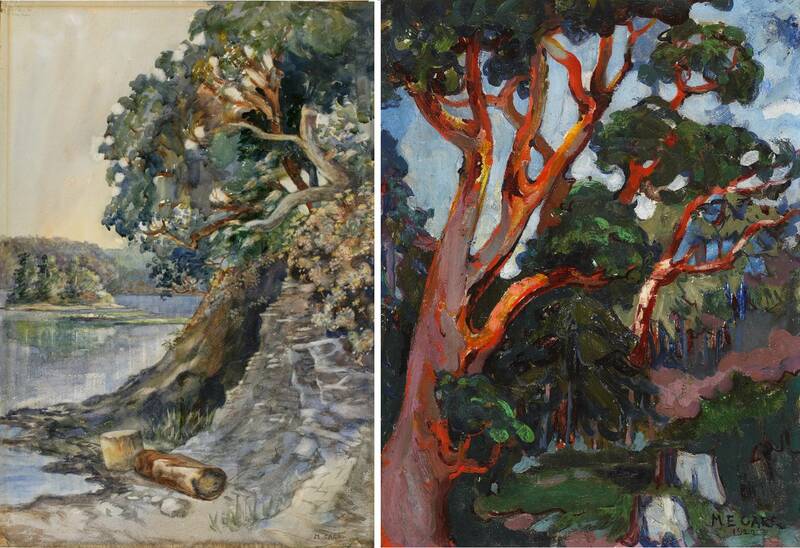 For example, consider two images of an arbutus tree, both by Emily Carr, the one on the left done in 1909 in the approved English style and the other painted after the trip to France. Which would you rather put on your wall? 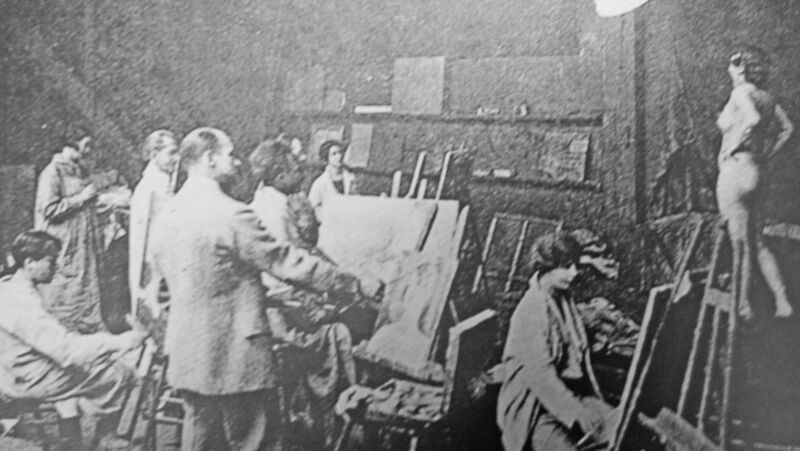 In 1913 in British Columbia, the art world made its choice. Emily’s art classes attracted no students and her exhibits attracted no sales. She stopped painting. The war came, and she made ends meet running a boarding house, breeding Bobtail Sheepdogs, and producing ceramics for the tourist trade. Still, during this apparently unproductive period, word of her work was making its way to Ottawa. In 1927 she was asked to contribute 26 paintings to an exhibit in the National Gallery of Canada. Suddenly, her work found an appreciative audience, and at the age of 56, she became an “overnight” sensation. 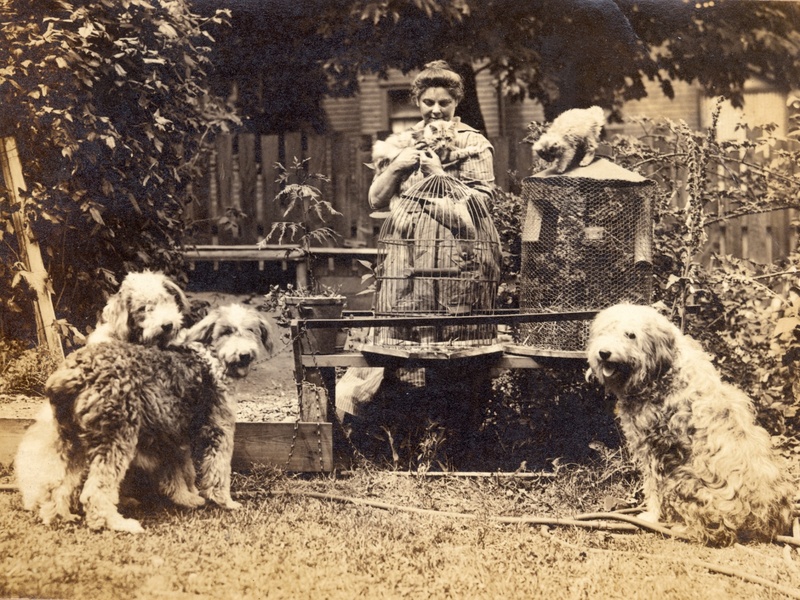 For the next 18 years, she painted, exhibited, lectured, and wrote books (some Canadians knew her as an author before they ever saw her pictures). She continued to refine her style, drawing inspiration from the art of the native peoples of the West Coast. The works most people associate with her name date from this late period. It is encouraging to think of her doing all that in her sixties. Hope for us all. She worked herself to the point of exhaustion (as she always had), and died in 1945. Today, her art is celebrated – an exhibit in England at the Dulwich Picture Gallery earlier this year, and currently, an exhibit at the Art Gallery of Ontario that inspired this blog. Text by Philippa Campsie, all quotations from Growing Pains by Emily Carr. Cartoon by Emily Carr from Sister and I: From Victoria to London (Royal BC Museum, 2011); photograph of Colarossi’s, catalogue cover, and parrot image from Wikimedia; antique map from Gallica; arbutus trees by Emily Carr from Dulwich on View; photograph of Emily Carr in 1918, Vancouver Art Gallery; Indian Church by Emily Carr from the Art Gallery of Ontario. 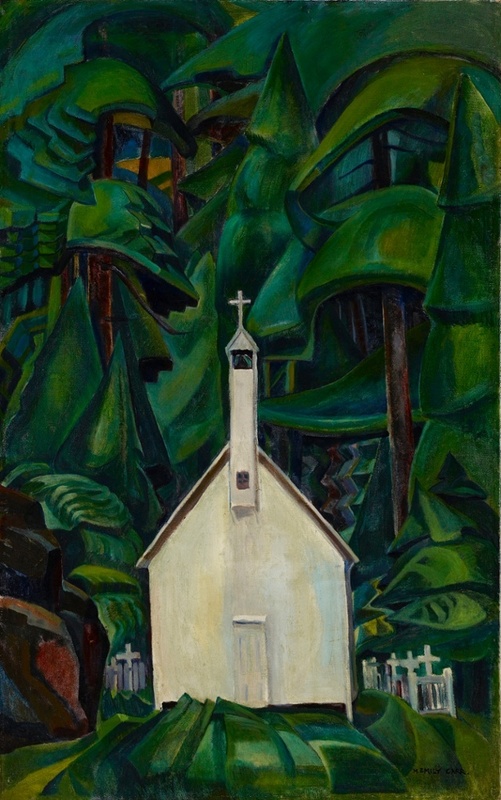 For more images of Emily Carr’s paintings, visit the virtual museum of the Vancouver Art Gallery. This entry was posted in Paris art, Paris history and tagged Académie Colarossi, Concarneau, Crécy-en-Brie, Crécy-la-Chapelle, Cubism, Emily Carr, Fauvism, Growing Pains, Montparnasse, National Gallery of Canada, Salon d’Automne, Sister and I: From Victoria to London, St-Efflamme. Bookmark the permalink. What an interesting article of a typical struggle all artists face when developing their “style.” Thank you for bringing to our attention an artist not known here in the US. Going abroad is an integral part of an artist’s development and opening ones eyes and sensitivity to new places and new faces. We went back to the Art Gallery of Ontario today to see her paintings again. They are extraordinary. I hope you have a chance to see them yourself one day. Thanks for another fascinating story. Your writing and these pieces of history cause me to think differently and more deeply of France and its ways of nurturing artists. Thank you for your comment. France does seem to free artists to express themselves in new ways, doesn’t it? Thank you for a lovely blog…I learned so much about Emily that I had not known! Of course her trip to France was crucial in her development but I always think of her among the redwoods of the west coast! What a wonderful post you’ve written — like a journey through time, a biography, and an education in art all at the same time. Beautifully done! Thank you so much. If you have the chance, read some Emily Carr’s writings. Apparently she read very little, so her style is unique, not influenced by others. It’s a completely original voice, and quite delightful! Thanks, Philippa, for this suggestion. I found two in our Austin Library system and have put them on hold. Thank you for the kind recommendation, Philippa! I’ll see if I can get some of Emily Carr’s writings for my e-reader, for enjoyment the next time I’m in Paris. Thanks for the introduction to Emily. I think the Arbutus Tree is one of her best. Where can I find work done by Emily Carr around 1900? Very little seems to be known about Emily Carr’s early work from 1900. Her best-known work was done many years later.